Practicing since 1989, Mr. Gladstone prides himself on being able to provide personalized, prompt, and skilled legal representation that clients have come to know and expect. As a sole practitioner, Mr. Gladstone handles every aspect of his client’s cases, regardless of how minor or complex. In turn, clients are given comfort in knowing that their matter is being afforded the individualized attention and skill necessary to meet their legal objectives. Mr. Gladstone’s commitment to personal service and legal excellence has produced both client loyalty and long-standing client relationships. With offices conveniently located in Annapolis and Glen Burnie, the Law Offices of Jonathan Gladstone welcomes the opportunity to serve your legal needs. 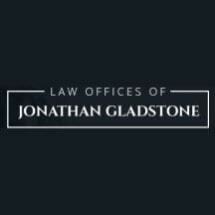 If you are seeking quality and experienced legal representation in a matter involving Administrative Bankruptcy, Family, Criminal, Personal Injury, or Landlord / Tenant Law, contact the Law Offices of Jonathan Gladstone today. Consultations are FREE and evening and weekend appointments are available upon request.